DAVID LE/Staff photo. 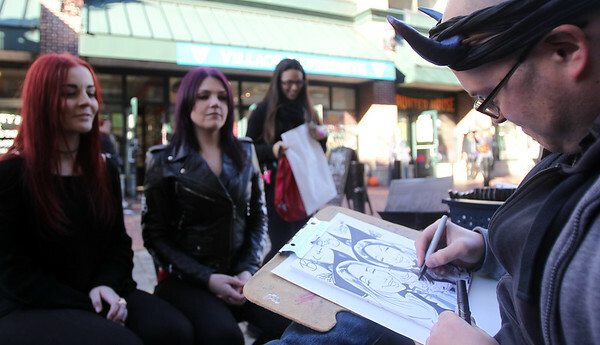 Caricature artist Joshua Madruga, of Salem, draws Bec Roberton, left, and Raychel Senese, of Melbourne Australia as they pose for a drawing on Friday afternoon. 10/30/15.